No. 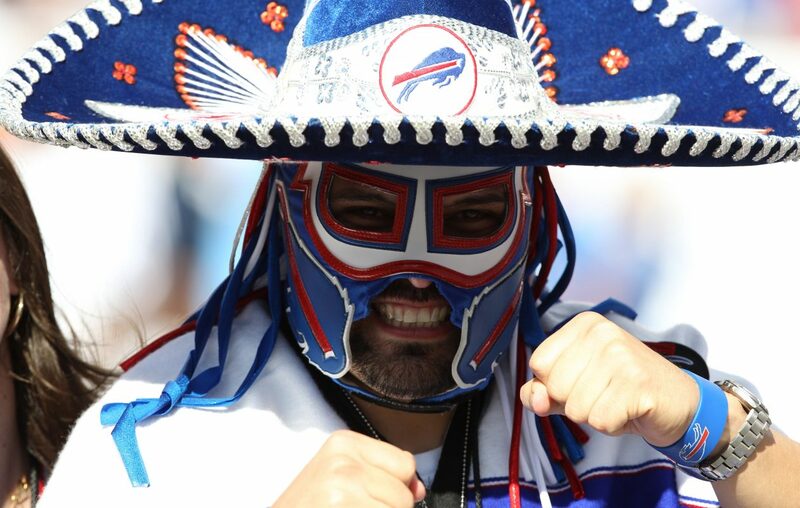 1 Buffalo Bills fan Ezra Castro, better known as the masked Pancho Billa, is back in the hospital. And as usual, the Bills family is reaching out. Castro underwent a CT scan Friday to check on the status of his cancer, which was first diagnosed in the fall of 2018. On his Twitter account, he complained of daily pain and shortness of breath and asked for "positive vibes" while he awaited test results. But later that day, he told his followers that he had been admitted to the hospital because the scan showed something in his lungs that requires further testing. Castro has received tremendous support from the Bills Mafia and the Bills team as he has undergone treatment. "Staying #PanchoPower strong & keeping the faith," he wrote in his tweet to followers. While the Dallas resident is receiving further testing in the hospital, former Bills wide receiver Stevie Johnson announced Saturday that while honored to be selected to name the Bills' third-round NFL draft pick, he would like give his spot to Pancho Billa. Some fans responded to his tweet by suggesting that Johnson and Castro name the third-round draft pick together. Castro also announced at the NFL draft last year.